It's been a great year for the School of Physical Sciences and I am so proud of the many accomplishments of our faculty, staff, students, and alumni. As you will see in this e-newsletter, our research discoveries are not only pushing the frontiers of health and science but also spurring the world of entrepreneurship and commercialization. One of the biggest perks for undergraduate students in Physical Sciences is the opportunity to conduct hands-on research and you will see numerous examples here. Alumni make us proud with their many accomplishments and we have been fortunate to connect with so many over the past few months. I hope you enjoy reading this compilation of the latest research findings and successes. Wishing you a joyful holiday season and prosperous New Year. 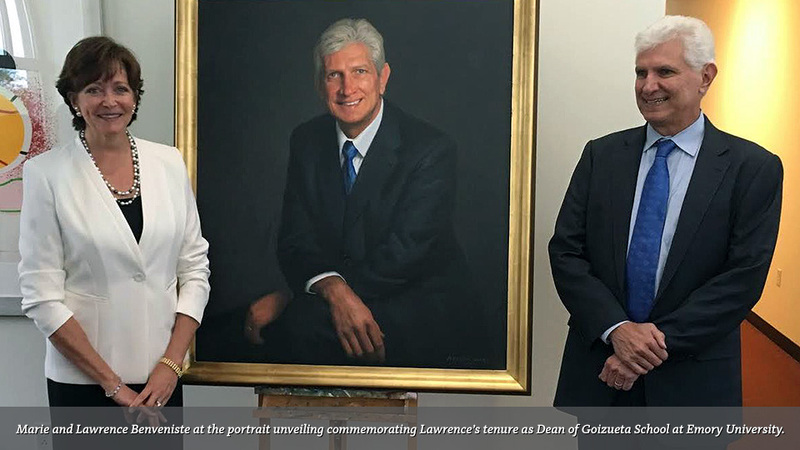 Renowned economist Lawrence Benveniste and his wife, Marie, have committed to a $5 million estate gift to establish endowed chairs in mathematics at UC Irvine and UC Berkeley. Benveniste earned a bachelor’s in mathematics from UCI in 1972 and a doctorate in mathematics from UC Berkeley in 1975. When a student at UCI, Benveniste says he discovered his passion for mathematics when Professor Robert W. West introduced him to the rigor and elegance of mathematical thinking. “It was far and away the best class I’ve ever taken,” Benveniste says. The Benveniste’s generous support will empower faculty at both campuses to significantly advance the field of mathematics. Read more. Earth system scientists published a study in Nature Geoscience on the size-reactivity continuum in the ocean carbon cycle. They found that size matters when it comes to how quickly dissolved organic molecules are produced in the ocean, thus having a beneficial effect on the global carbon cycle (from a climate change perspective). Read more. 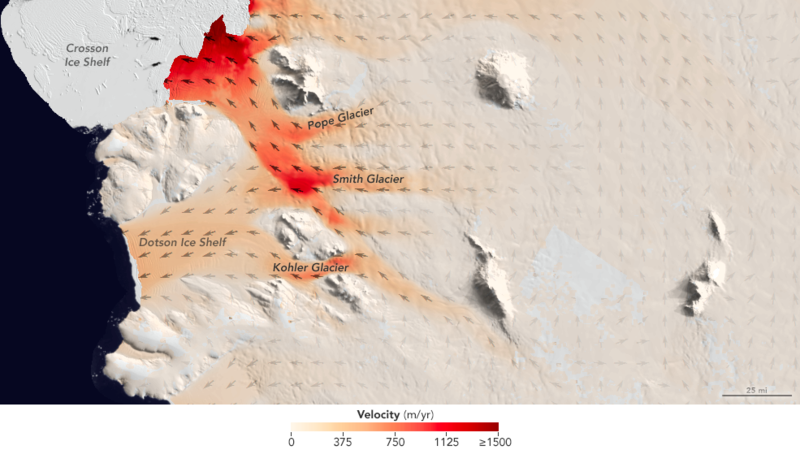 These two new studies highlight how the interaction between ocean conditions and the bedrock beneath a glacier can influence the frozen mass, helping scientists better predict future Antarctica ice loss and global sea level rise. Read more. 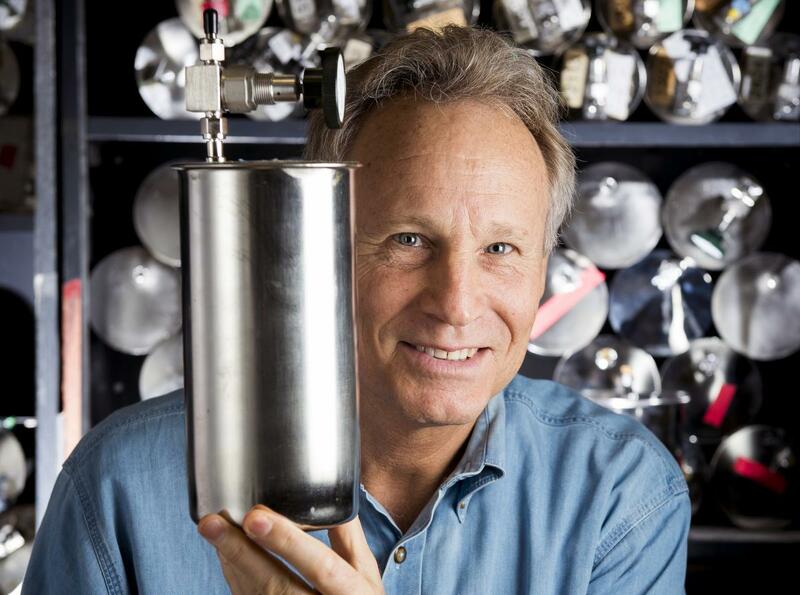 Strapped into a NASA-modified DC-8, UC Irvine professor Donald Blake fiddles with some knobs on a crate that holds canisters containing the key element of his career: air. The plane flies several thousand feet higher than a typical commercial flight. The canisters (more than a thousand for this trip) are absorbing air through a rig outside the jet, affixed to a window. So as Blake and his students collect gases from the frigid troposphere, their primary concern is warmth. They bundle up. They see water inside the plane freeze. Blake travels everywhere to collect air – to places pristine and polluted, rich and poor, near and far. Read more. Conspiracy theories can be stubborn, particularly in the echo chamber of the internet. One persistent belief is that the government is deploying a fleet of jet aircraft to spray chemicals into the sky to control the population, food supply or other things. As evidence, they point to what they call “chemtrails,” which are more commonly known as contrails, or condensation trails, produced at high altitudes as water vapor in jet engine exhaust condenses and freezes. 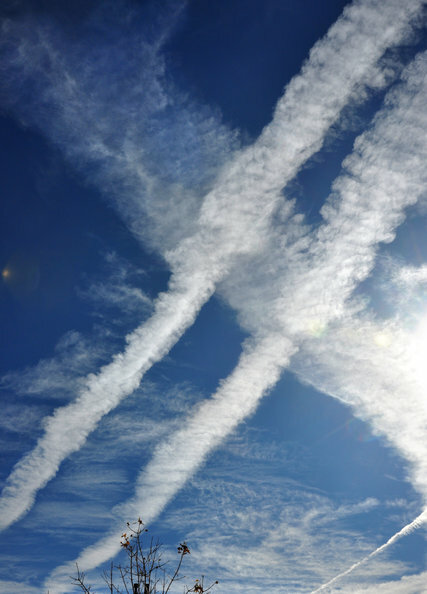 To clear the air, Professor Steven Davis and his collaborators conducted a peer-reviewed study in Environmental Research Letters that debunks chemtrails supporters’ claims. Read more. 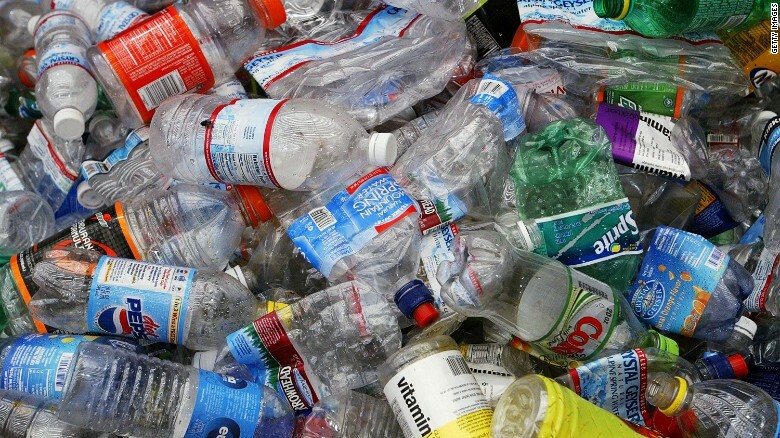 Chemist Zhibin Guan and his collaborators figured out how to take discarded plastic products – from grocery bags to plastic bottles – and turn them into useful products like fuel. Read more. According to the United Nations, almost half the world’s population could be dealing with water scarcity by the year 2030. Professor Shane Ardo may have found an alternative to big, pricey desalination plants. 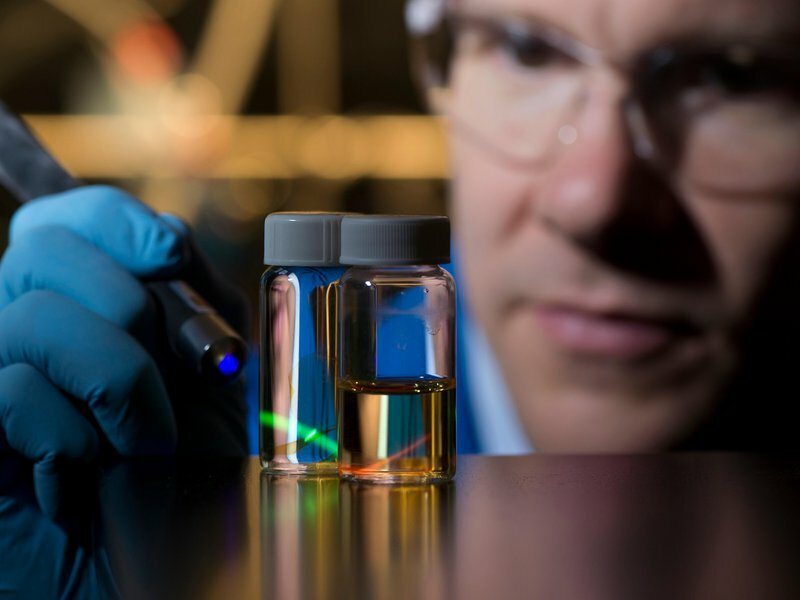 He is working to develop plastic containers that could remove the salt from seawater, all by using a little sun power. Read more. Ralph J. Cicerone – a leader of science and world-renowned authority on atmospheric chemistry and climate change – died at his home in New Jersey on Saturday, Nov. 5. He was 73. 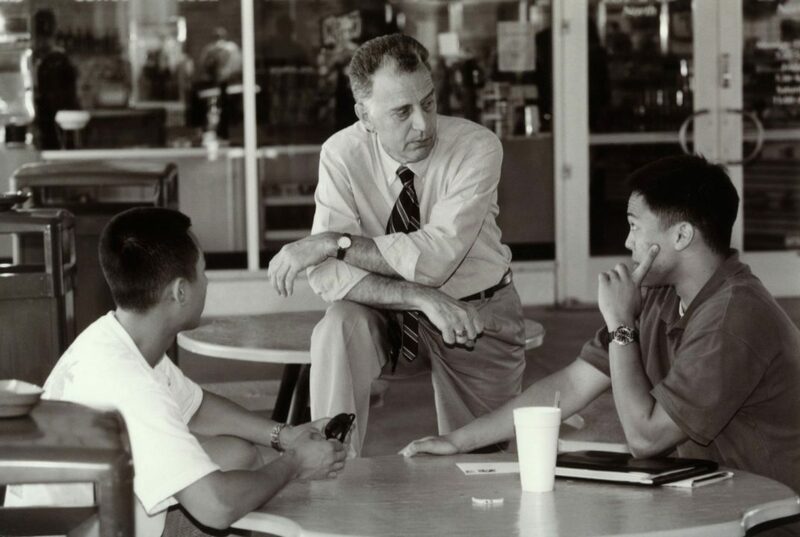 Cicerone was UCI’s fourth chancellor, served as dean of the UCI School of Physical Sciences, and was founder of the acclaimed Department of Earth System Science. 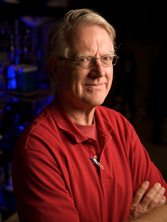 He left UCI after being elected president of the National Academy of Sciences, where he wielded international clout on scientific issues until his retirement in summer 2016. A celebration of life will take place on February 24, 2017. Read his obituary. 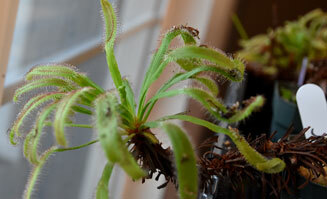 Drosera capensis, commonly known as the Cape sundew, also replicate human digestive processes under extreme circumstances. Professors Rachel Martin and Carter Butts led an 18-month experiment to study the insect devouring plant. Their discoveries, reported in two recent peer-reviewed journals, show the magnificent killers may be equally extraordinary in what they can do for humans – erasing biofilms from medical instruments and safely battling stubborn fungal infections, for example. Read more. 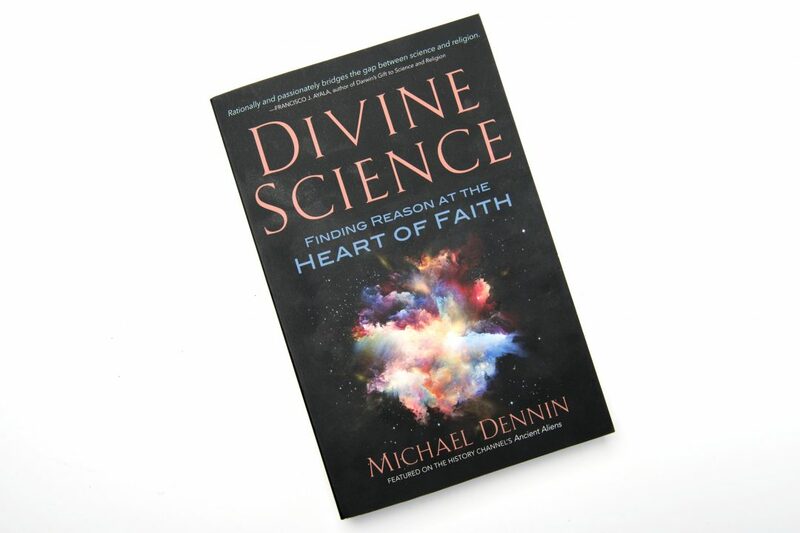 In his new book, UCI physicist Michael Dennin explores how the Big Bang theory, evolution and other scientific principles can actually deepen a person’s religious faith. Read more. Growing up on the prairies of rural Minnesota, young Jennifer Prescher couldn’t have known that the fireflies she hunted on summer evenings would inspire her future career. She learned that fireflies produce light through a chemical reaction in their glowing abdomens, a process known as bioluminescence. Now as a professor of chemistry she’s trying to synthesize bioluminescent molecules to help decode multicellular interactions in the human body. 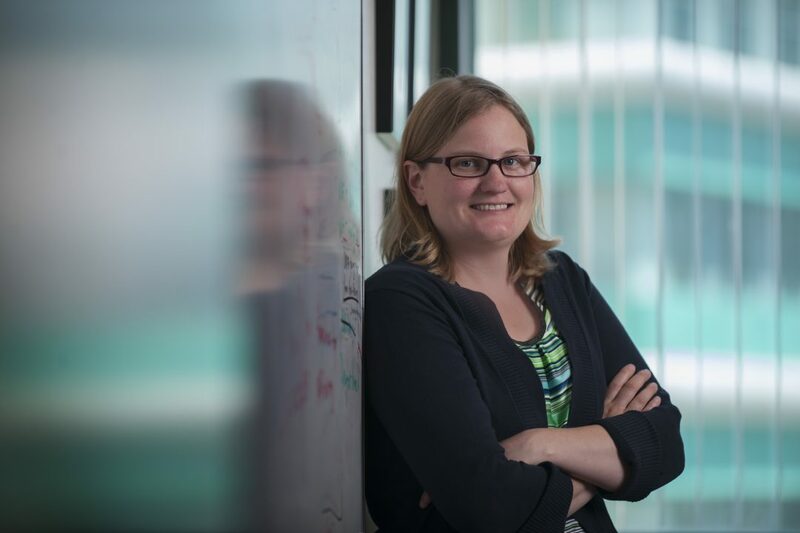 By doing so, she hopes to better understand immune system function and foster breakthroughs in the fight against cancer and infectious diseases. Read more. Professors Jonathan Feng and Tim Tait have made a discovery that could profoundly change the future of physics. 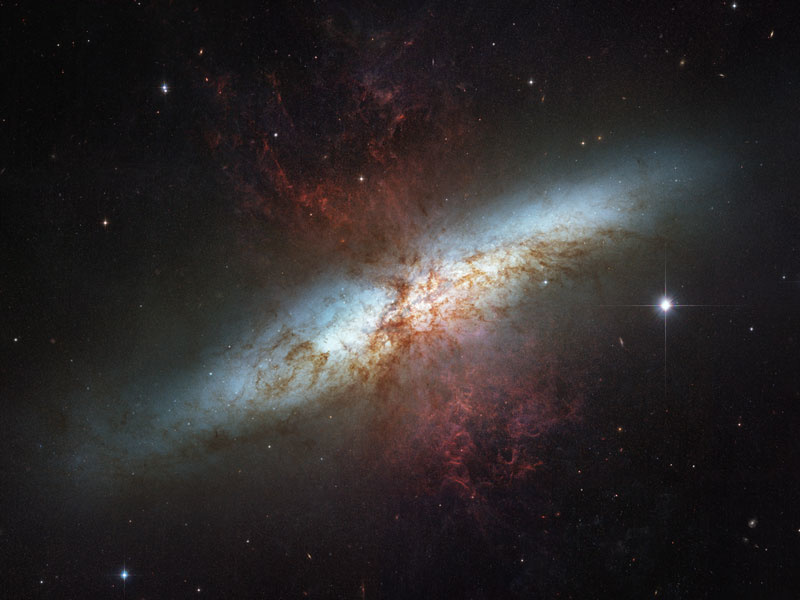 They found evidence of a fifth force of nature and a new particle that could have implications for the unification of forces and efforts to understand the dark matter that pervades the universe. Read more. 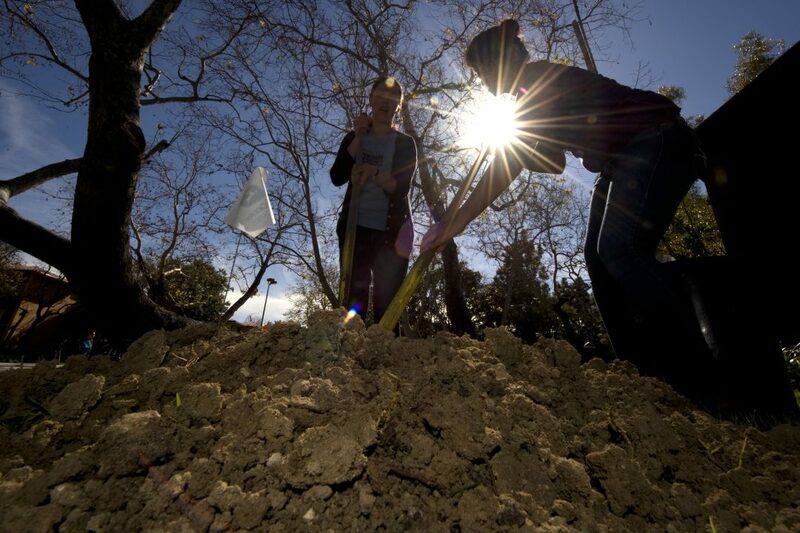 By adding highly accurate radiocarbon dating of soil to standard Earth system models, environmental scientists found that soils have a weaker capacity to soak up carbon than we have been assuming over the past few decades. Read more. On Oct. 25, more than 200 UCI alumni gathered for the first collaborative sciences networking event between UCI’s School of Physical Sciences, The Henry Samueli School of Engineering, and the Donald Bren School of Information & Computer Sciences. 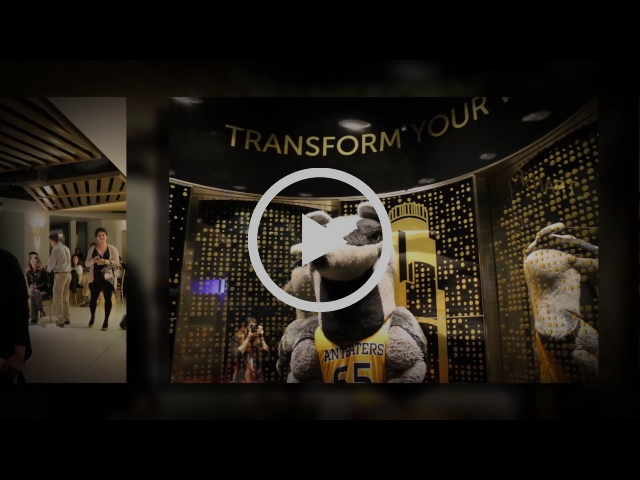 Located 1,000 feet above downtown Los Angeles, OUE SkySpace LA was the perfect venue to promote this alumni partnership and the new Convergent Sciences Initiative. Watch the video for a recap of this fun event. Jeannie Lee earned her B.S. in Earth and Environmental Sciences at UCI in 2013. 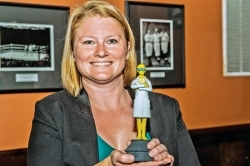 When she wasn’t enjoying the sunny California weather or dodging bikes as she made it across Aldrich Park for class, Jeannie spent her time working in the Martiny Research Group. For her research project, she measured temporal variability in phytoplankton nutrient ratios by measuring concentrations of particulate organic carbon, nitrogen, and phosphate concentrations in phytoplankton during weekly visits to Newport Beach. 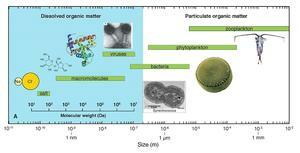 Phytoplankton are the base of the aquatic food chain. Temporal environmental changes, usually those as a result of climate change, can alter the composition of marine communities, which has numerous implications on the aquatic food web. Jeannie further analyzed measurements for seasonal variability and Redfield ratio comparisons and published her results in the journal Limnology and Oceanography. Read more. From the ashes of disaster, some dreams grow. Such happened to Richelle Homo ’16, who on Sept. 11, 2001, sat in a New York City hospital as her mother battled complications after the difficult, premature birth of Homo’s little sister – and as doctors and nurses responded to an incoming flood of patients affected by the fall of the World Trade Center’s twin towers. “I was angered, scared and confused by how such a tragedy devastated so many,” she says. “But I also was amazed by the healthcare professionals who expertly triaged the situation, and I found inspiration in the people who risked their own lives for the betterment of others.” Her experience at the chaotic hospital – along with that of caring for her siblings as their parents worked – launched Homo’s dream of becoming a doctor and serving her country. 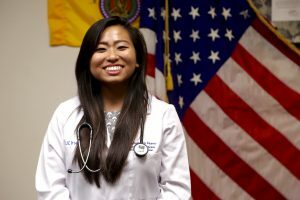 She took a big step toward achieving both this fall quarter at UCI, joining the first-year class in the School of Medicine and accepting a U.S. Army commission as a second lieutenant. Her ultimate aim, Homo says, is to be a Medical Corps physician, treating troops, veterans and their families, while being prepared to work for local and global aid groups. Read more. Mallory Hinks and three other finalists were narrowed down from contestants who submitted two minute videos describing chemistry research in a way that’s accessible to the general public. As a winner, she’ll have access to networking events with professional science communications staff from ACS and the National Academy of Sciences. Hinks plans on pursuing a career in science policy after graduation. Read more. 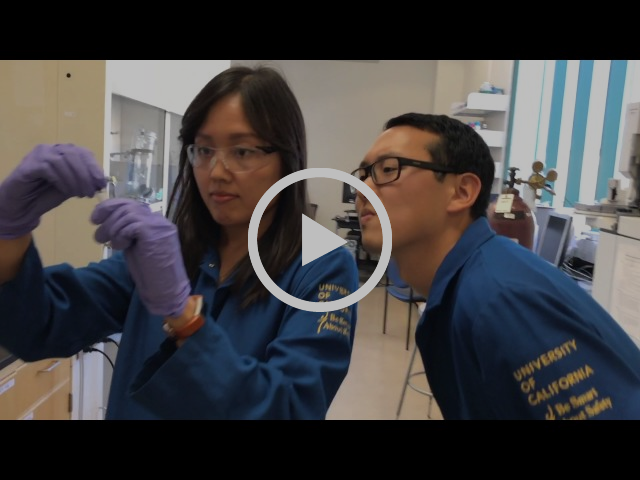 As a fourth year undergraduate chemistry student at UCI, Nancy Huynh conducts important research in the Van Vranken Research Group. The group pioneered a palladium-catalyzed carbenylative cross coupling reaction used to synthesize bioactive molecules and natural product analogues. Advances like these can shed light on discovering new pathways for synthesizing complex molecules. 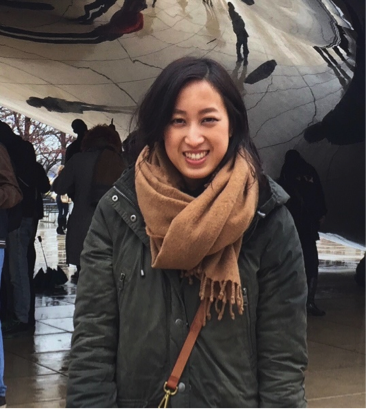 To further her knowledge and understanding of organic chemistry and biology, Nancy took an internship at Theravance Biopharma, a pharmaceutical company that specializes in anti-inflammatory therapeutics. Read more. 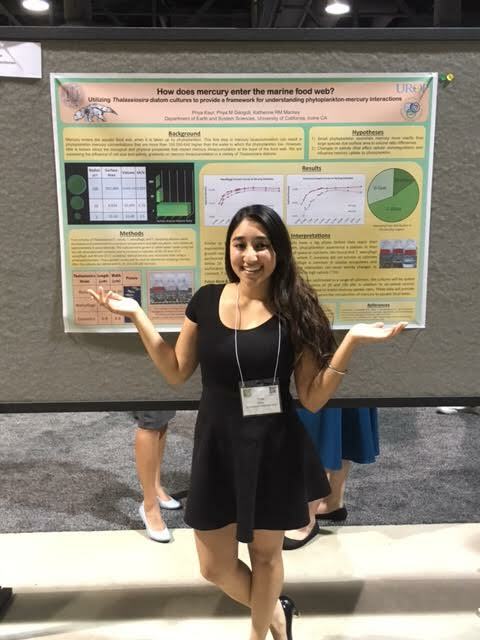 The award recognized Kaur's research presentation at a STEM conference part of the Society of Chicano/Hispanic and Native Americans in Science (SACNAS). As a fourth year undergraduate researcher, Kaur is working on her honors thesis with Professor Kate Mackey. Read more. 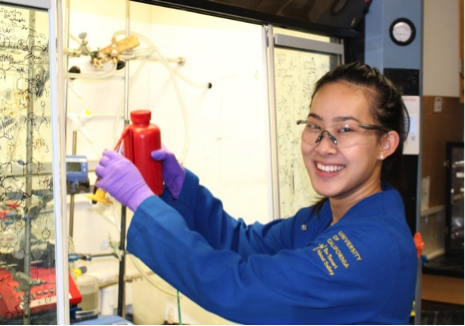 As an undergraduate researcher in Professor Jenny Yang’s lab, Ruelas studies the development of efficient metal catalysts to produce fuels or feedstock using renewable energy. 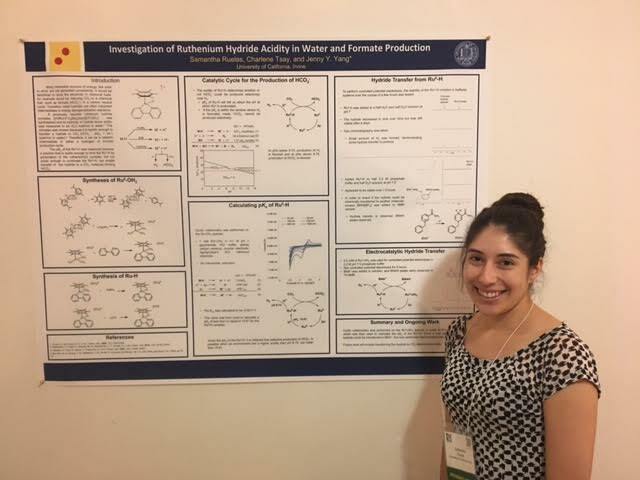 This award recognized Ruelas' research presentation at a STEM conference part of the Society of Chicano/Hispanic and Native Americans in Science (SACNAS). Read more. This e-Newsletter is published by UC Irvine's School of Physical Sciences and distributed to alumni and friends of the School.